The risks third parties pose to enterprises continue to mount, even as security leaders accelerate their efforts to improve overall security. As CISOs improve network, endpoint, application and user-level security, third parties are becoming the entry points to some of the largest breaches to date. 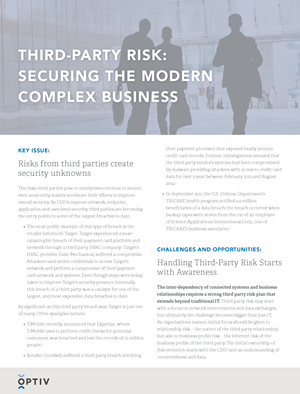 Read this security brief tolearn how to build a strong third party risk program for the modern business.